In another sign of the increasing recognition Detroit is receiving for its entrepreneurial and tech scene, Forbes announced Tuesday that it’s bringing its Under 30 Summit to the Motor City for the next three years. The 2019 Under 30 Summit Detroit is set for Oct. 27-30 and is expected to draw almost 10,000 entrepreneurs to the city. The event is presented by Quicken Loans’ Rocket Mortgage. 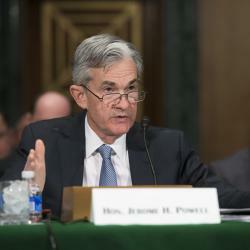 “If any day really symbolizes what we mean by the intersection of muscles and brains, that would be today,” said Quicken Loans Chairman Dan Gilbert, referencing both Forbes’ three-year commitment to Detroit and Fiat Chrysler Automobiles NV (NYSE: FCAU)'s announcement earlier in the day of a $4.5-billion investment in Michigan. Venture capitalist and former America Online CEO Steve Case was instrumental in bringing the Forbes summit to Detroit by connecting the media company with Quicken Loans, Gilbert said. Detroit Pistons power forward Blake Griffin made the cover of Forbes’ “30 Under 30” issue in November, and the magazine said 58 young Michigan entrepreneurs have made the list since 2015. Tuesday's announcement was made at The Madison Building in Detroit. Other dignitaries who spoke included Michigan Gov. Gretchen Whitmer and Wayne County Executive Warren Evans. Video courtesy of Quicken Loans. Since Quicken Loans relocated to downtown Detroit eight-and-a-half years ago, the number of company employees living in the city has risen from 73 to 4,000, Gilbert said. “We looked around and dreamed of a Detroit that would serve as a place for innovation and serve as an example for urban cores." The Quicken Loans founder pointed out that tech companies such as Alphabet Inc (NASDAQ: GOOGL) (NASDAQ: GOOG), Snap Inc (NYSE: SNAP), Amazon.com, Inc. (NASDAQ: AMZN), Microsoft Corporation (NASDAQ: MSFT) and LinkedIn have established a presence in the city. Benzinga relocated its headquarters to downtown Detroit in 2015. Detroit Mayor Mike Duggan described being at dinner at the Shinola Hotel in downtown Detroit with Gilbert last week and stumbling upon an angel investor conference upstairs. 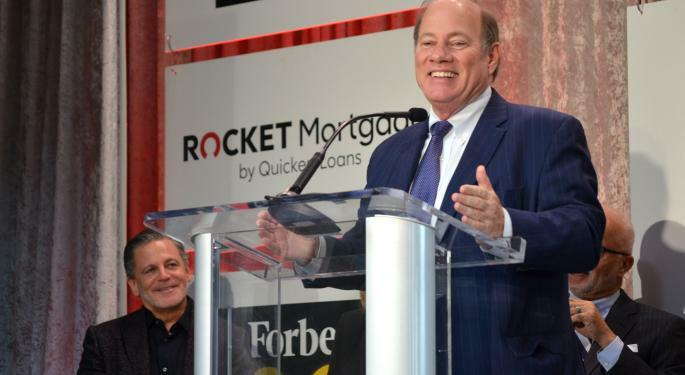 “This is a time when the city is becoming more entrepreneurial,” Duggan said. Past speakers and attendees at the Under 30 Summit include Richard Branson, founder of the Virgin Group; former Secretary of State and U.S. Sen. John Kerry; actress Jessica Alba; actor Ashton Kutcher; WeWork co-founder Adam Neumann; and Olympic gold medalist Michael Phelps. In addition to entrepreneurial discussions, the Detroit event will include a “world-class” music performance and a food festival with top chefs that’s integrated with Detroit landmarks, according to Forbes. Forbes Media CEO Mike Federle said the magazine has the same criteria for both its Under 30 honorees and the cities that host the summit. Quicken Loans Chairman Dan Gilbert is an investor in Benzinga. 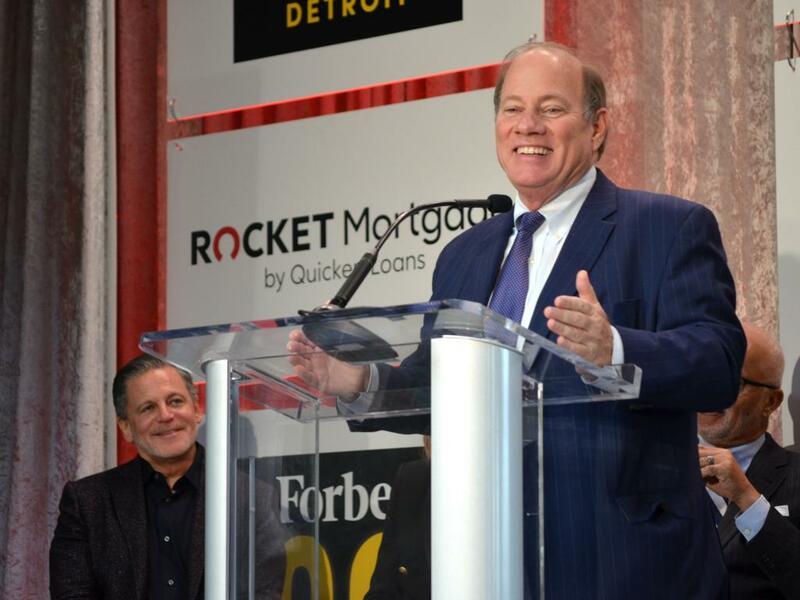 Detroit Mayor Mike Duggan, right, speaks at the Forbes Under 30 Detroit announcement Tuesday, Feb. 26 as Quicken Loans Chairman Dan Gilbert looks on. Photo by Dustin Blitchok.